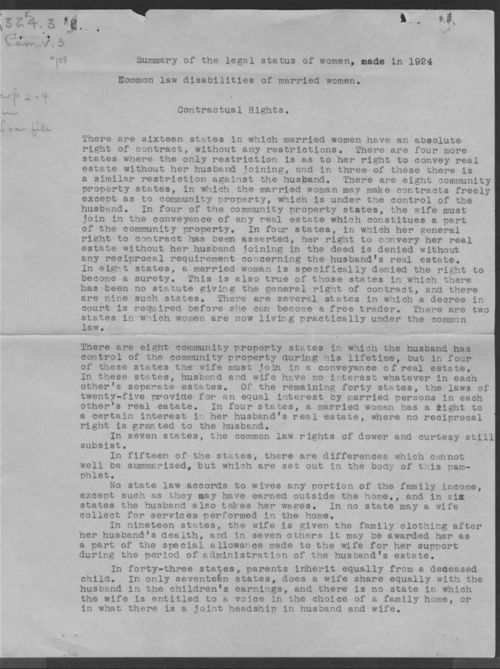 This typed document is a summary of the legal status of married women in 1924. It lists their lack of rights concerning contracts, guardianship laws, marriage and divorce laws, and general rights of women in legal issues. It includes a series of questions with answers related to the rights of women in Kansas versus men and the laws in other states. No author is indicated.